Leighton Clarkson fulfilled a lifelong dream on Sunday - and the midfielder is determined to make sure his victorious Anfield debut is followed up by FA Youth Cup glory. Liverpool progressed to the final of the tournament for the first time in a decade by beating Watford 2-1. 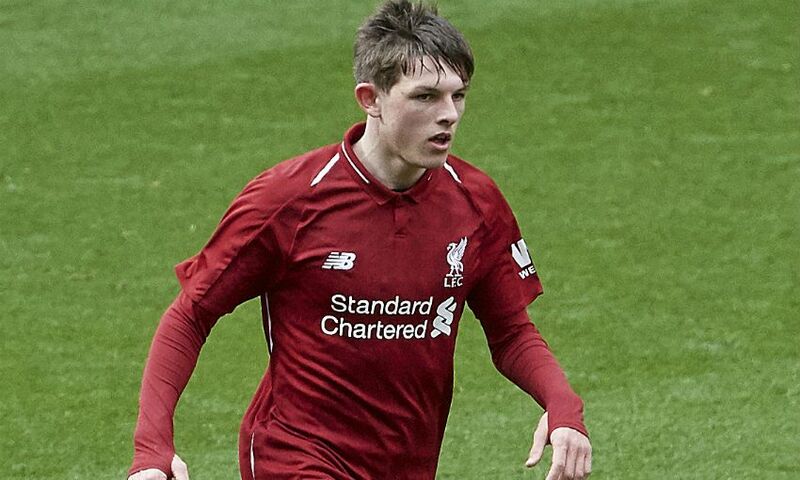 The game represented Clarkson’s first appearance at Anfield and the 17-year-old, who joined the Reds at U10 level, wants to push on and overcome either Manchester City or West Bromwich Albion in the final. “It feels amazing, obviously. It’s a childhood dream to play at Anfield and to do it in a semi-final and win against a good team is good. But we just want to kick on and win the final now,” Clarkson told Liverpoolfc.com. “It's a dream come true. Anfield is the place I want to play and where I want to play in the five or 10 years to come so to do this, make my debut and win was good. Captain Paul Glatzel was the young Reds’ match-winner on Sunday, with his first-half brace enough to see off the challenge of Watford. Clarkson continued: “We are a very attacking team and we love to score goals. “We love to defend as well, but our scoring, obviously, with Bobby [Duncan] and Paul up front… we know we can cause teams problems.